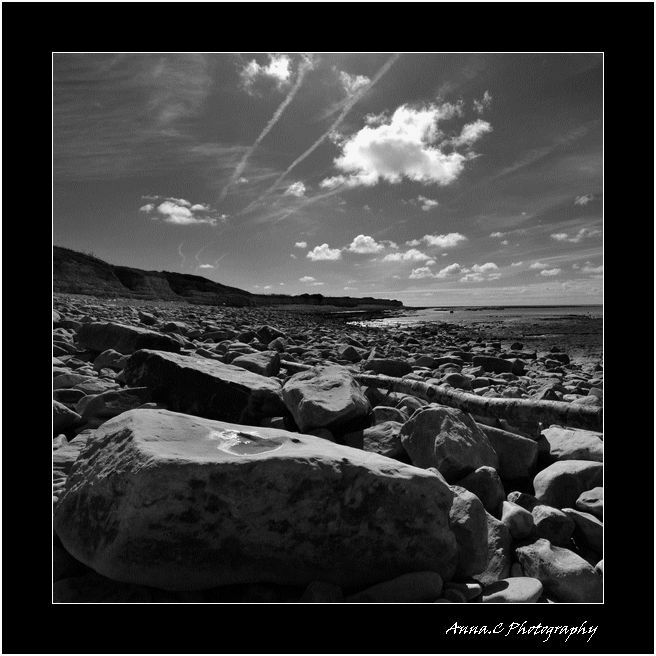 Anna Cherer (LA ROCHELLE, France) on 2 October 2011 in Landscape & Rural and Portfolio. Diese sehr stark wirkende Perspektive ist faszinierend, ebenso der Kontrast zwischen den ruhenden Steinen und der Bewegung in den Wolken. Apparition de bois, tss tss....quel désordre dans le monde de Rocks ! Encore très belle, celle ci. Une très belle série de N&B. Great b&w, great pov, just a great photo! Très bel angle de vue, le n et b reléve bien l'ensemble ! Superb composition - love the low angle and the foreground is magnificent! Wow, this is a rocky shore! I like the big rock in the foreground and the sweep of beach into the distance. Nicely done.